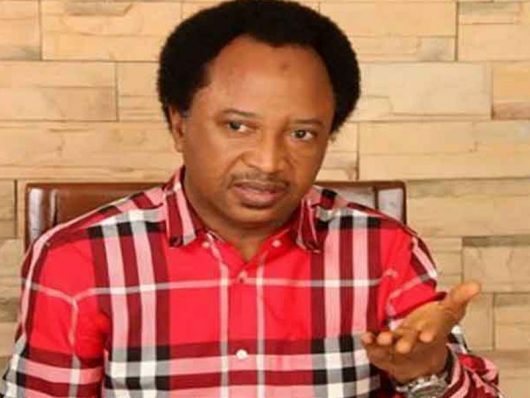 The senator representing Kaduna Central in the senate, Shehu Sani, has warned Nigerian politicians that the poor masses who voted them into offices in 2015 can vote them out of offices if they were neglected. The lawmaker made the assertion during a sallah feast with physically challenged person in his Kaduna residence yesterday. Shehu Sani said the elites in the society often forget the downtrodden in the country, forgetting that their votes like any other Nigerians brought them to office. He expressed dismay over past government policy of forcefully evacuating physically challenged person out of streets without providing alternative sources of income for them. “I feel sad when I saw physically challenged person packed in vehicles for onwards movement to their states. “What the government needs to do is to empower and rehabilitate them so that they can be useful to themselves and the country. “Ideally I should have been celebrating the sallah with the big wigs of the society but I chose to spend the time with you in my house because of your importance to me. “This house is yours and the doors are open to you. For the past three years we had cordial relationship and I promise to sustain it”, he said. Shehu Sani called on the people to vote back the ruling All Progressive Party (APC) in the 2019, stressing that the government under the leadership of President Muhammadu Buhari has brought hope to the people. “Yes we may still have some pockets of challenges here and there but the fact is the country is moving forward and the only way to consolidate on this is by voting APC back to continue the good work”, he explained.